*LIVE RADIO ON FILM* Mésange performing Stars and Rattle performing Signal live in session on The deXter Bentley Hello GoodBye Show on Resonance 104.4 FM in Central London on Saturday 3rd November 2018. 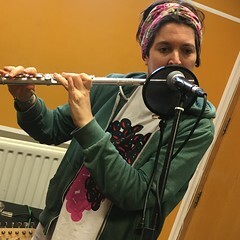 This entry was posted in dexter bentley, hello goodbye show, Live Radio on Film, resonance fm and tagged agathe max, dexter bentley, hello goodbye show, live radio on film, Mésange, Rattle, resonance fm. Bookmark the permalink.